One in six Americans suffers from food poisoning every year. annually. This means there are approximately 76 million annual cases and 5,000 deaths which come as a result of foodborne illnesses, stated Health Magazine. Therefore, it is important that consumers and foodservice workers take steps to prevent foodborne illnesses. These types of illnesses arise due to a number of factors, including unwashed food items, poor preparation practices and improper refrigeration. However, when an individual has food poisoning, they present certain symptoms which signal the presence of the illness. According to the Mayo Clinic, people who have foodborne illnesses usually experience nausea and vomiting, fever, diarrhea or abdominal cramps or pains, which can last up to 10 days. However, if these symptoms become severe, or if an individual has signs of dehydration, muscle weakness or trouble speaking or swallowing, he or she should seek medical help. To avoid food poisoning, customers and foodservice employees should utilize certain practices to ensure edibles will not cause illness. 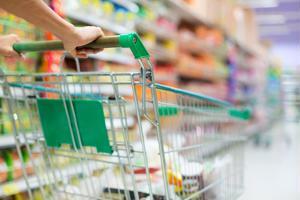 At the grocery store, consumers should shop for non-perishables first. Items from refrigerated or frozen sections should be placed in the cart last, so they remain at a proper temperature for as long as possible, according to Health magazine. Once food has been brought home or to another location, cold items should be put away first to prevent them from reaching an unsafe temperature level. Experts also advise washing all produce, even items that are peeled before eating. Bacteria or other pathogens can permeate the skin of some foods, therefore thoroughly washing these items is important to prevent foodborne illnesses. However, Center for Science in the Public Interest staff attorney Sarah Klein recommended not rewashing triple-washed bagged lettuce as increased handling could cause additional contaminants to be interjected. Furthermore, preparation tools and surfaces should also be washed as well, including knives, cutting boards and countertops. Keep foods separated during shopping, storage and preparation. Raw meat, poultry, fish and seafood should be kept in individual containers and be isolated from other items to prevent cross contamination. In addition, temperature monitoring is a must, especially within the foodservice industry. Restaurants and vendors should have temperature sensors present in refrigerators and all storage units to ensure that inventory is kept at the proper level. Experts advise that refrigerated food be kept below 40 degrees Fahrenheit to prevent bacteria growth that causes foodborne illness. Furthermore, items should be heated to a safe temperature, as consumption of raw or undercooked foods can result in food poisoning. The Mayo Clinic stated that ground beef should be cooked to 160 degrees Fahrenheit, chicken or turkey should reach 165 degrees Fahrenheit and fish should be cooked at 145 degrees Fahrenheit. Health Magazine stated that bacteria grows the fastest between 40 and 140 degrees Fahrenheit. Above all, when food seems questionable or an individual is in doubt about an item, he or she should not consume it. As the Mayo Clinic puts it, "when in doubt, throw it out."